How To: Android App Saves your Text Messages to Gmail as they Arrive! To get started, first enable IMAP in your Gmail account available under Gmail Settings > Forwarding and POP/IMAP > Enable IMAP. 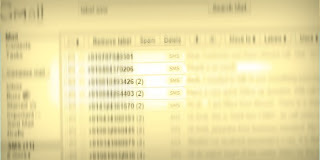 Next launch the SMS backup app on your phone, enter your Google account credentials and the will immediately copy all existing text messages to a new folder /label in your Gmail account. Stay tuned with us at Facebook & Twitter and Subscribe Email to get updates on latest Android Updates.